Writing this article my mind drifts back 6 years ago to a bar called Ruben’s in Stuttgart Germany, while on a business trip Joe Hanrahan & I stopped off for a drink to discuss the days meetings and to discuss marketing strategies for Waldner Ireland, Joe being a golfer was pushing me to try something different (he was also looking for a day out) he suggested we hold a golf competition, going on to say that in time it could be as big as the Ryder Cup – I taught this was taking being positive to whole new level & not being a golfer myself, I was a little unsure that this would be the best use off our resources. Each year the event gets bigger and bigger, last year we had 80 people playing golf at Mount Juliet and 140 people attended the dinner and presentations after – this year the Waldner Cup will be held in the Heritage Golf Resort on friday 11th May and we have really pushed the boat out this time – the winner of the Waldner Cup 2018 will receive 2 tickets to the RYDER CUP in France with flights and accommodation included – so all you golfers attending – get practicing…………. The Waldner Cup is sponsored by Complete Storage Solutions, TBI Scientific & Waldner Ireland and on behalf of our entire team we look forward to seeing you all and wish all you golfers the very best, for all you non golfers joining myself, I have plenty of chairs at the bar and as always looking forward to having the crack. 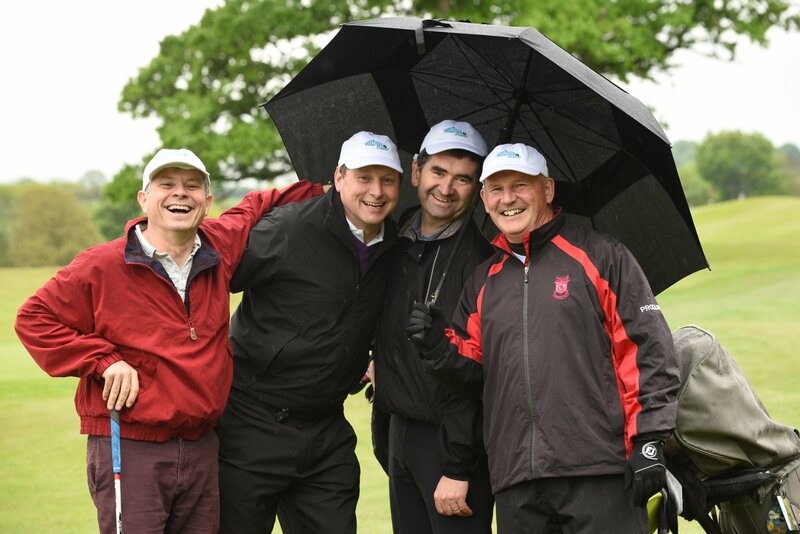 On the 19th of May 2017 Waldner Ireland held the fifth annual golf tournament in Mount Juliet, with the biggest turn out to date with over 80 people playing golf and over 140 people attending the dinner, however, Waldner Ireland did one thing wrong, as good as we are, we could not control the weather as it rained and rained and rained, but to the absolute credit to all who played on the day, all seen the course through. 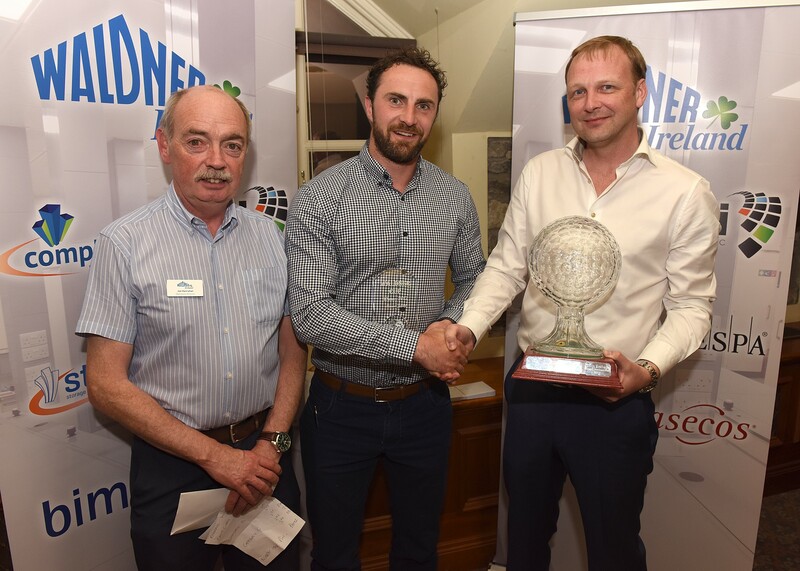 Pictured above centre, the Waldner Ireland Golf Cup Champion of 2017 Mr. Eoin Wilson taking first prize which was flights and accommodation for two to the British Open – well done again Eoin. From our partners Waldner, Stow, bimos, Trespa and asecos, & from my team and I we all look forward to seeing everybody on the day.